Researchers are increasingly encouraged to make their data openly accessible and usable for others. To early-career researchers in particular, this can seem daunting, with different considerations when posting data publicly rather than retaining it solely for internal use. 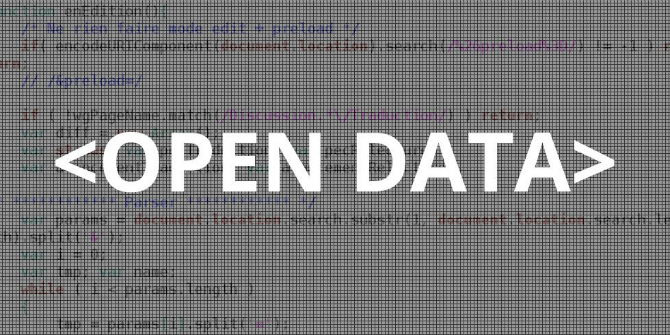 Katherine Wood has compiled a short open data starter guide to make the process less overwhelming and help researchers do their bit for transparency and reproducibility. One practice that’s considered increasingly important to transparency and reproducibility is open data (and the accompanying analysis script). Of course, it’s one thing to say “just post it!”, it can be overwhelming if you’re new to the practice. There are different considerations when posting data publicly than when you’re retaining it solely for internal use. I’ve outlined a few things to consider when posting your data, and a few tips to help make it more accessible and usable for others who want to access it. That’s it! Then you can be assured in your studious data posting. If you have data that uses some sort of non-random identifier for each subject, you’ll want to strip that out and replace it with some arbitrary subject ID before you post it. MTurk Worker IDs, for example, are not strictly anonymous, because they are linked to a person’s real information. You might want them during data collection, but not for public data. Even if you don’t collect subjects’ names or other explicitly identifying information, it can still be possible to identify someone from the information in their data. A particular combination of gender, general age range, workplace, and ethnicity in a survey of professors, for example, might identify someone. You don’t have to be hyper-vigilant about everything all of the time, but it’s not a bad idea to keep this in mind and possibly take steps around it, such as withholding or binning nonessential variables, if it seems like it would be an issue. For maximum accessibility, plaintext is your friend. If at all possible, text should be in .txt format, column-data should be in .csv format, and images should be in .jpg, .png, .tiff, or some other common form. If possible, you want to avoid having data in proprietary forms, like .psd (Photoshop) which some people may not be able to open. Word and Excel documents can behave in strange ways if you open them in other applications, and sometimes aren’t back-compatible with older version of the software. You want anyone to be able to open your files, regardless of their setup. Similarly, you want your analysis code in its source format and in plaintext. You don’t want to wrap things in executables, or post code as an image or word-processed document. Data should also be in its raw form. Cleaning, wrangling, and summarising should be left to the scripts if possible. Image credit: Open data by Descrier. This work is licensed under a CC BY 2.0 license. You should include, along with your data and/or script, a readme that tells the user what they need to know. How do they run the analysis? Are there any special steps they need to take? What should things look like as it happens? What kind of output should they expect? You also need a readme for your data. What variables are included in the dataset? What is the datatype of each variable? If you opened up a new datafile and see a column of numbers ranging from 1 to 4, that could mean anything. Did it come from a Likert-type scale? Is it a count of some event? Is it a continuous variable, or a discrete one? This confusion is only worsened by unusual or non-descriptive variable name choices, like psc_sf. A detailed readme clears this up not only for the user, and but possibly for your future self! If you have a lightweight setup, you may not need these measures. But if it’s a concern, you have options! Ideally, you’ll want to host your resources in a reliable place that won’t give you or your users access problems, is content to host multiple filetypes, and makes retrieval easy. The Open Science Framework is a great option, as is GitHub. Plus, this can serve as your cloud-backup in case some cataclysm destroys your computer. This also makes it possible to have the analysis script download the data directly for a user, rather than relying on them to put it in the right place. For instance, you may have a line in your private version of the script that sets the current directory to users/me/documents/folder_with_the_stuff, which the user would have to change if you uploaded it as-is. Posting all this publicly can feel intimidating, especially if it’s a new experience. But the most important thing is that it’s out there. It doesn’t have to be perfect, and it gets easier and better with practice. This blog post originally appeared on the author’s Inattentional Coffee blog and is reposted here with permission. Katherine Wood is a graduate student in the University of Illinois at Urbana-Champaign’s Department of Psychology studying failures of awareness. She is an advocate for open, reproducible science and open-source software. She blogs at Inattentional Coffee.